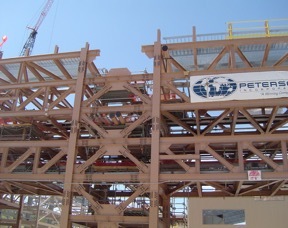 Pipe Racks – Petersen Inc.
Design, engineer, fabricate and install the modular pipe rack for the CC-66 MAP site. 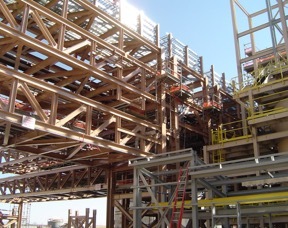 The Molybdenum Autoclave Project (MAP) was a modular pipe rack of 64 units, totaling 3500 feet and 230 unloaded tons. This project consisted of 3-phases and was fabricated and installed.